Four more shows on the 'Not In This Lifetime...' tour were just announced and Nightrain presales start today at noon local time! 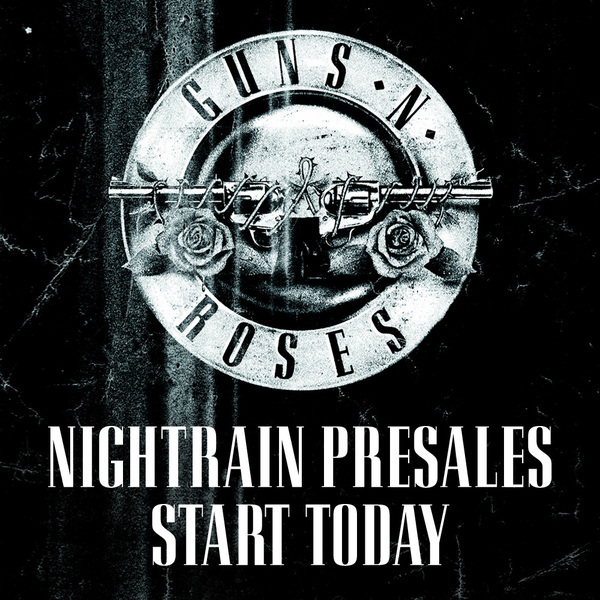 Get on the Nightrain now and get in on the exclusive members-only presale for new shows added in Chicago, Foxboro, East Rutherford, and Los Angeles. Being a Nightrain member isn’t only about presale access, members also get exclusive 2016 Nightrain merchandise, access to web content, and an all new GN’R Community, coming soon. Check out the two membership packages and Get On The Nightrain!